Micron Laser Technology provides a number of laser processing services and part manufacturing services. 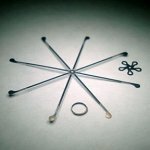 MLT’s advanced laser material processing techniques have been derived from our customers’ own unique part specifications and manufacturing challenges. With principles of material science combined with decades of laser process analysis, our laser services enable product innovation and manufacturability. Laser drilling services provide high-speed drilling of unlimited materials sets with accuracy and precision unmatched by mechanical drill centers. The smallest mechanical drill bits are limited in diameters with the disadvantages of wear, breakage, and drill walk. Laser drilled hole are achievable below 25um in diameter and will not walk or skew off target over drill depth. 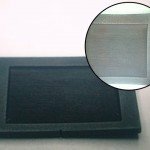 Laser skiving services provide a means to remove layers or controlled depth of a material. MLT skiving processes are designed to balance process time (cost) with quality. Energy control is critical to preserving part visual aesthetics and functional reliablity. Improper energy control can result in unwanted annealing or embrittlement in some materials while delaminating bonds (CTE mis-match) or generating micro-cracking in others that fails over time. 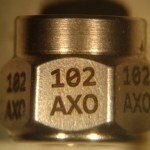 Laser marking services provide component or part marks that may include part numbers, serial numbers, manufacturing date codes, and company logos. Other marks may actually be desired features like precision scale lines (i.e. syringe) or fiducial marks (i.e. wire bonding) for downstream process alignments. 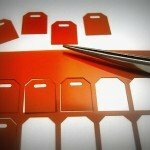 MLT laser markings adhere to various marking standards including military and semiconductor standards. Manufacturing of printed circuit boards incorporate a number of laser produced operations that advance product design. 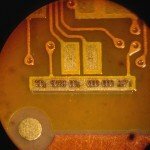 MLT PCB laser services include rigid and flex circuit microvia drilling, part excising, cavity formation, coverlay skiving and routing, ZIF connector close tolerance routing, selective soldermask or squeeze-out removal, and much more. Active components or populated finished PCB laser processes are capable with integrated ESD standard practices. 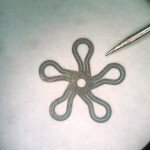 When products or fabrication requires micron level feature sizes, tolerances, or controlled material removal, MLT laser micromachining services deliver. 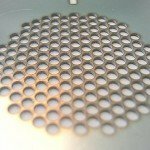 MLT has experience processing materials and products that have advanced micromachining in solar panels, biomedical components, electronics, fuel cells, and more. Prototypes are a physical representation of innovation. Prototypes communicate the limits of your design’s form, fit, and function. In many cases, prototypes take more than just laser manufacturing processes to complete. MLT has partner companies to support other specialized fabrication processes to provide a turn-key solution. © Copyright | Micron Laser Technology, Inc. | All Rights Reserved.